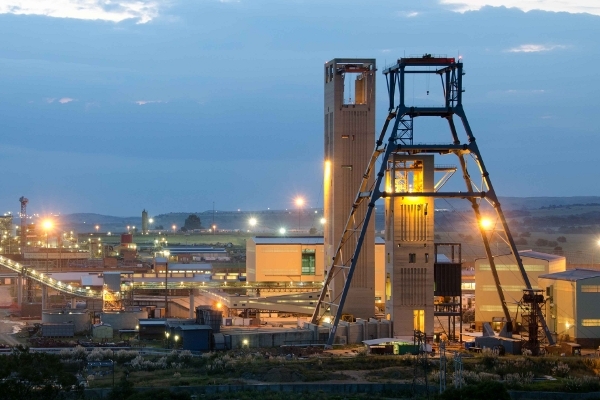 Mponeng is a gold mine in South Africa's North West Province, about 65 km southwest of Johannesburg, owned by AngloGold Ashanti. 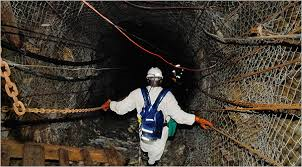 It is also currently the world's deepest mine. 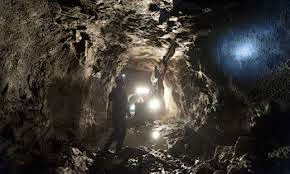 It extends over 4 kilometres (2.5 mi) below the surface, and is considered to be one of the most substantial gold mines in the world. 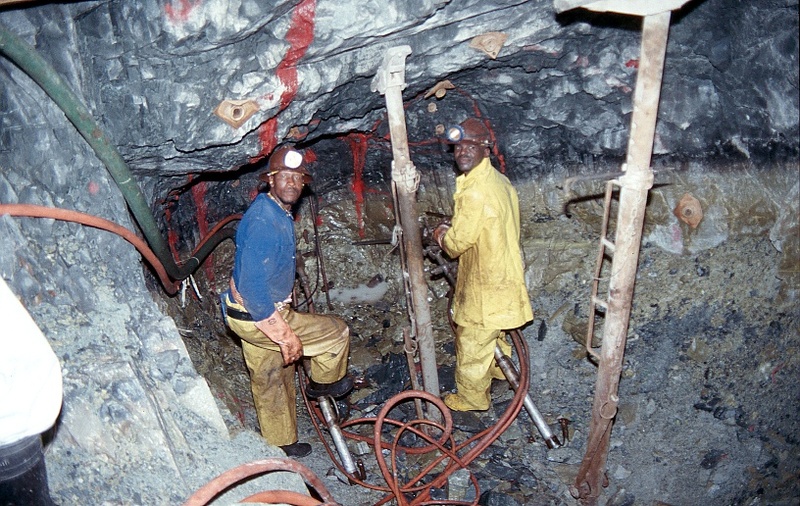 Mponeng means 'look at me' in the local Sotho language. 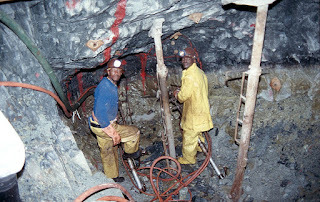 Formerly the Western Deep Levels South Shaft, or Shaft No 1, Mponeng is the most recently sunk of the three former Western Deep Levels mines. 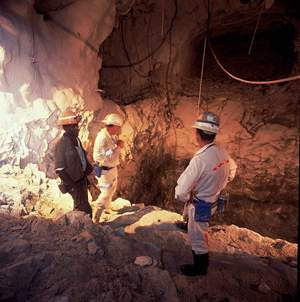 The global record was broken in 2009 after digging 3,777m. With the current sink, the mine would go down to 4,100m. 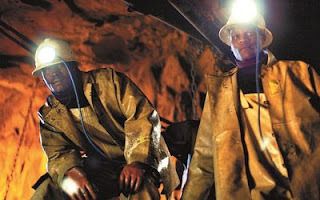 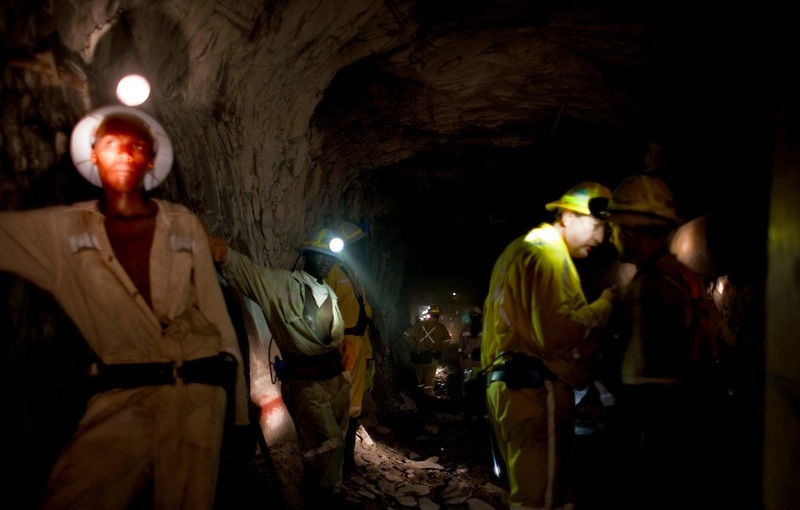 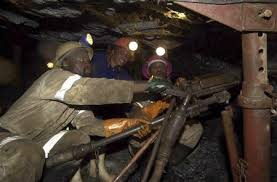 Plans could take the Mponeng Mine to 4,500m below the surface. 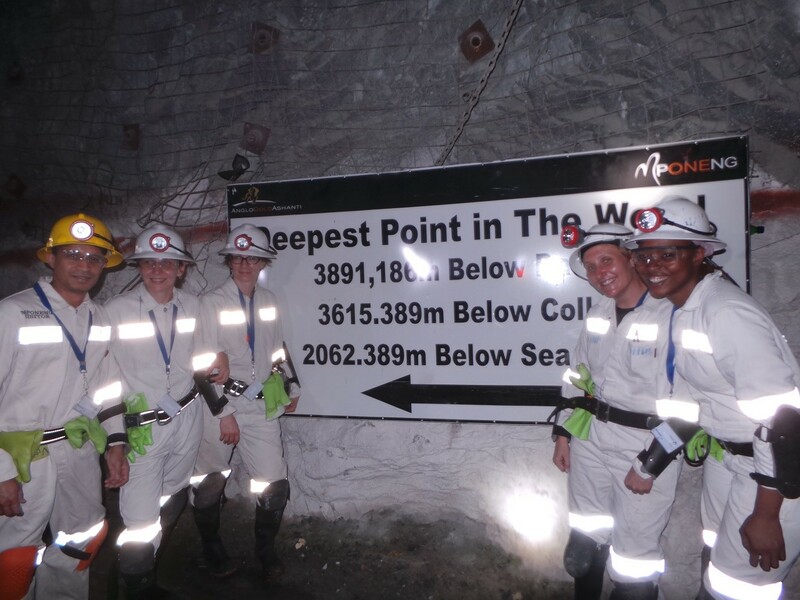 The Mponeng Mine is also one of the world's richest with grades at over 8 g/t. 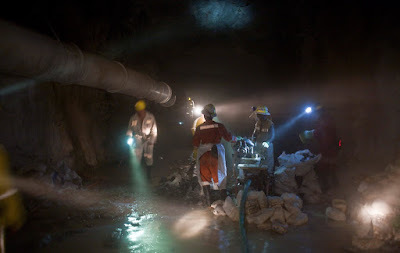 Production is primarily sourced from the Ventersdorp Contact Reef, a seam of ore that averages only 30 inches wide. Work is progressing to extract the ore from the Carbon Leader Reef below it. 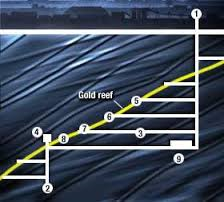 In an effect known as the geothermal gradient, the temperature of the earth increases with depth. 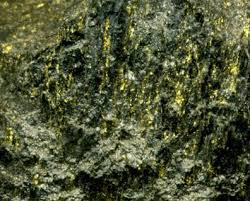 Rock temperature reaches 140 degrees Fahrenheit and humidity 95 percent. 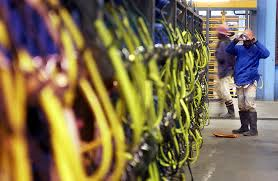 6,000 tons of ice a day keeps Mponeng's deepest levels at 83 degrees. 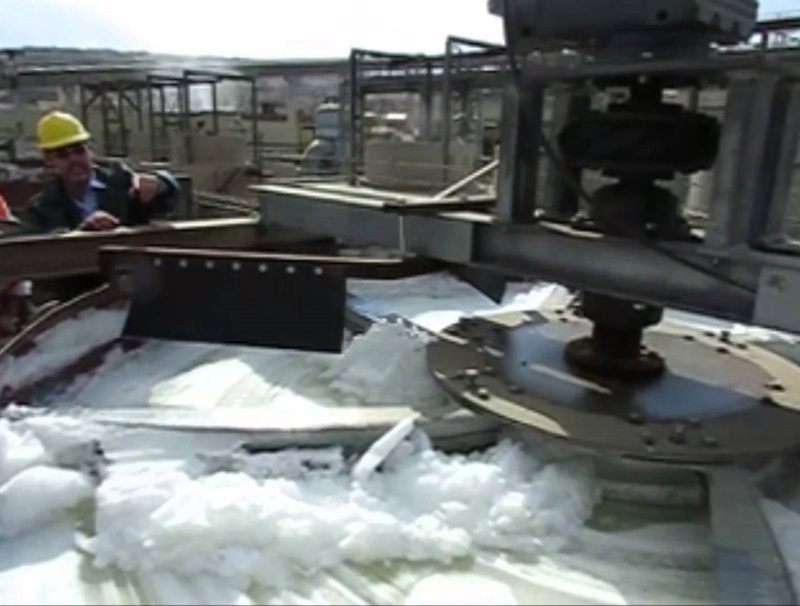 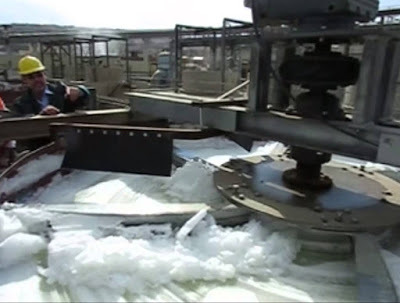 Ice is made in a surface plant, then mixed with salt to create a slush that is pumped to underground reservoirs. 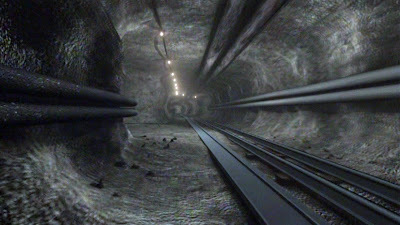 There, giant fans pass air over the coolant and push the chilled air further down into the mining tunnels. 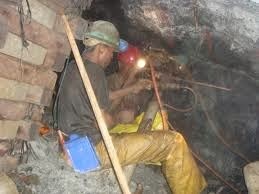 Every day the 4000 miners at the Mponeng Mine detonate 5,000 pounds of explosives. 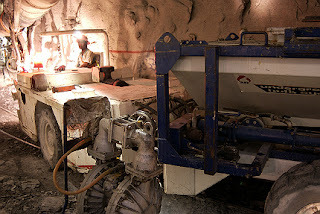 Every day they take away 6,400 tons of rock. 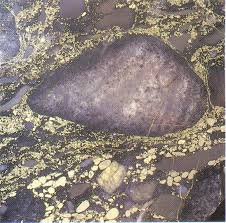 The laws of compressive force dictate that the rock will try to close the spaces left by mining. Six hundred times a month a "seismic event" will shudder through the Mponeng mine. 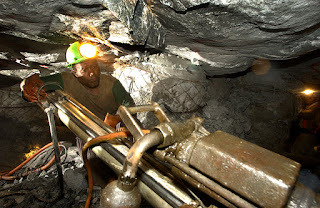 Sometimes the quakes cause rockbursts, when rock explodes into a mining cavity and mows men down with a deadly spray of jagged rock. 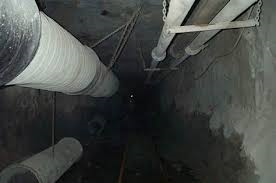 Sometimes a tremor causes a "fall of ground"—the term for a collapse. 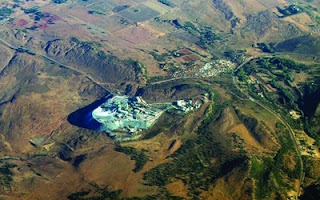 Some of the rockbursts had been so powerful that other countries, detecting the seismic signature, had suspected South Africa of testing a nuclear bomb.